LAHORE: (Thursday, December 7, 2017): Punjab University and Imam Khomeini International University (IIUI), Iran have signed a memorandum of understanding for scientific and educational cooperation. In this regard, an MoU signing ceremony was held at committee room of Vice Chancellor’s office here on Thursday. 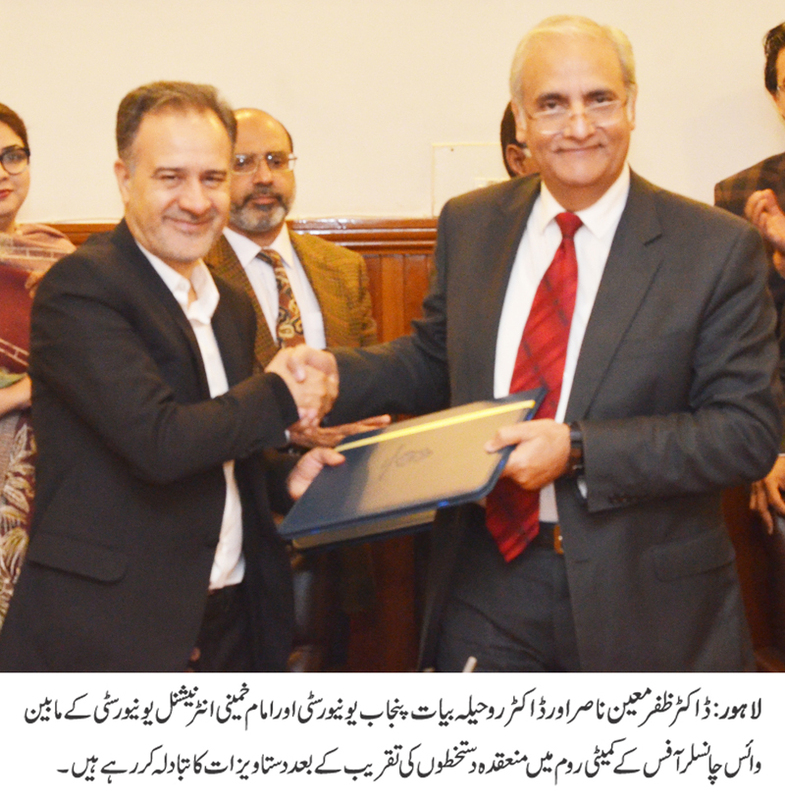 PU Vice Chancellor Prof Dr Zafar Moeen Nasir, IIUI’s Vice Chancellor Dr Rohullah Bayat, Dean Faculty of Oriental Learning Prof Dr Saleem Mazhar and deans of various faculties were present on the occasion. According to MoU, both the universities would carry out this cooperation to promote exchange of scholars and staff and mutual academic and research activities would be promoted. Both the universities would also promote exchange of undergraduate and post graduate students and academic information would also be exchanged. According to MoU, both the parties would work for joint research publications and research journals. Both the universities would also make efforts for participation in each others’ conferences, seminars and academic meetings. Addressing the ceremony, Dr Zafar Moeen Nasir said that there was a dire need of promoting bilateral relations between Pakistan and Iran both at state and public level. 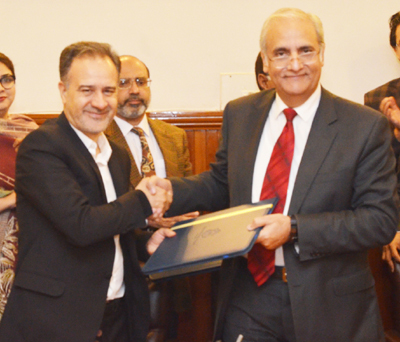 He stressed the need enhance academic cooperation between Pakistani and Iranian universities.